Will Heightened CSPD Patrols Reduce Car Crashes? > Blog > Car Accidents > Car Accident Compensation > Will Heightened CSPD Patrols Reduce Car Crashes? Surprisingly, it was a rash of crime rate numbers and a mixture of a shortage of Colorado Springs Police Department (CPSD) patrol officers that were responsible for a recent call to action to staff more CSPD patrols on the streets of Colorado Springs, and not actual car accidents. The beefed-up patrols come amid officer’s complaints that the move is long overdue, especially since they say they could rarely count on backup for incidences, and that they are regularly late in responding to calls they were dispatched for hours before hand. Gang and impact unit officers returned to patrol sector. Officers assigned to traffic accident investigation units returned to sector assignments Jan. 2017. Some different call response protocols have been implemented. Changes have been made as to the types of calls Community Service Officers respond to. Motor Unit officers will split duty between traffic accident investigations and traffic enforcement. Citation goals were removed in 2016, while traffic safety now remains a top priority. DUI Unit officers stopped reporting to the Operations Support Bureau and began reporting to the Patrol Bureau. How Can Driver’s Be Proactive about Preventing Car Crashes and Injuries? Distractions – Don’t drive distracted – whether it be texting or talking on a cell phone while driving. Other forms of distracted driving include eating, reaching for something in the car, and talking to passengers just to name a few. Speeding – Arrive alive, so the saying goes. Speeding is a high-ranking reason for automobile accidents. Speed limits are designated to help you maintain control of your vehicle. If you are driving at night or in inclement weather, you may need to reduce your speed to adjust for the reduced visibility. Buckle Up – It’s not only the law, but your chances of surviving a motor vehicle accident are greatly enhanced by wearing a seat belt. Don’t Drive Drunk – It goes without saying, but it can’t be stated enough, that people need to refrain from driving buzzed or drunk. 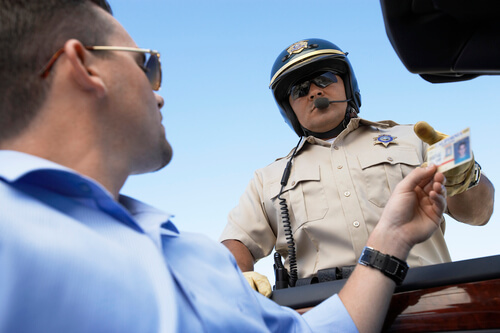 Driving impaired slows both your reaction time and clouds your judgement. Parking Lots – Use extreme caution when driving through parking lots, because there are oftentimes children present, who can’t been seen in your vehicle’s mirrors. Also, other drivers tend to not focus on what is going on around them. Did you or someone you love get hit by another motor vehicle through no fault of your own? If so, the Colorado Springs Car Accident Lawyer at Shakeshaft-Gorman Law Firm, LLP will champion your cause and case. He can get started right away building a strong case to help you recover financial compensation so that you put your life back together. Call (719) 635-5886 or (800) 383-5886 to set a up a free, no-obligation consultation with our Colorado Springs ca accident Lawyer. You may also email him using the contact form on this page. You won’t pay a thing unless you receive a settlement or win a court order. We’re easy to find with offices in Colorado Springs, but we can also represent people throughout the rest of the state. ¹“More CSPD cops shifted to patrol” published in the Colorado Springs Independent, March 2017.